The decision for a mother to terminate the life of her unborn child must be the most painful and difficult choice imaginable. Sadly, our society has placed this burden upon women because it has given mothers the option to abort their unborn child. In the rare situation where a decision needed to be made between the life of a mother or her child, people have made the painful decision to terminate the child. Yet our society has now extended abortion to allow situations where a pregnancy is simply ‘unwanted’. In a recent development, New York legislators have chosen to permit late-term abortions, allowing medical practitioners to terminate a pregnancy in its final moments. Even if it could be argued that a first-trimester foetus was not yet human, there is no doubt that a baby of more than thirty weeks is more than a clump of cells. And yet we are growing less and less shocked by the thought of doctors causing the death of a human whose only fault is that they have not already traversed their mother’s birth canal. The Bible makes it clear that God sees unborn children as humans, and view has been held by civilised people for centuries. Yet, as we stray further and further away from God’s word, our collective heart is hardened, and we are more convinced by an atheistic view that values humans based on their benefit to others. If we keep travelling this pathway, we will soon justify infanticide of babies with disabilities, and more euthanasia of the aged. For the vulnerable in our world we must obey the voice of God and show love to those who are unable to love us back. And we must defend these unborn babies from the acts and decisions of health and legal professionals whose oaths should have led them to protect the vulnerable, not lead them to their premature death. 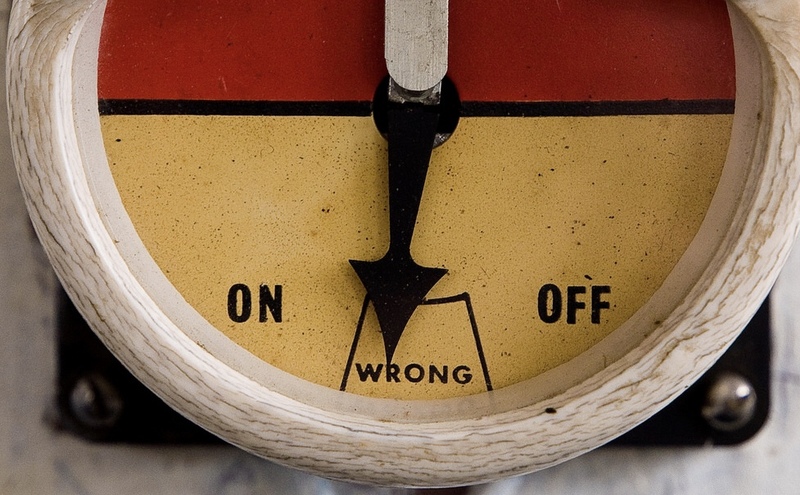 How do you know what is right and what is wrong? This is one of the biggest challenges that we all face every day. Some people will say that humans have a deep-down understanding of what is right and wrong. Maybe it’s come from our upbringing, as we follow the example of parents and friends. Or perhaps it’s from our society, as together we try and work out the ‘norms’ of acceptable behaviour through dialogue and discussion. Yet, when we use crowdsourcing to make decisions about ethics, we place a great deal of faith in our own ability to make true judgements. Sadly, history is full of examples of when people have got it terribly wrong. This is why we need an anchor for our ethics… and this is why the Bible is so important and useful. The Bible is grounded on the idea of love: love for one another that comes from God’s love to us. Through the Bible, God helps us know our weaknesses, and he shows us how to be saved from the just punishment we deserve as we all, naturally, live independently from him. That’s why the Christian scriptures are so deeply practical for people of all ages. And this is why the officially-approved curriculum taught in Special Religious Education (SRE) is so deeply valuable for children in our public schools. The best place to learn right and wrong is to turn to the Bible. And the best thing about the Bible is that in those words we learn about true love and true forgiveness, as we hear how Jesus gave his own life as a sacrifice for us. This is the best lesson any student can ever learn. As we celebrate Australia Day, it’s a great reminder of how many people give up their time and energy to serve our community. I’ve recently got to know a bunch of wonderful locals, who spend countless hours of their time to help protect life and property. 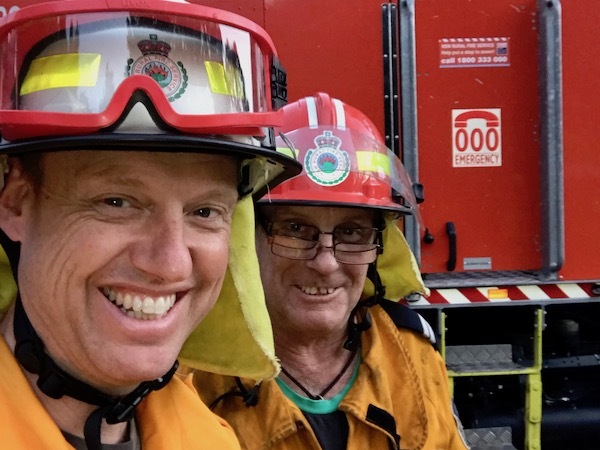 Jamberoo Rural Fire Brigade members are always on standby for a ‘fire call’, ready to drop everything to attend a blaze or an incident in our area. Recently, some of the brigade members were risking their lives as they extinguished the petrol tanker in West Wollongong, and only this week some of us travelled to Tumut as part of a strike team to assist in a large blaze in Southern NSW. Plus, this weekend, brigade members will be using fire for a different purpose… cooking sausages on the BBQ for breakfast on Australia Day in Reid Park. I joined the Jamberoo RFB last year, as I wanted to connect more with our community as we seek to serve each other, especially in times of crisis. This is everything that is great about our village: the willingness to sacrifice time, energy, and safety, to serve others. The Bible, Mark chapter 10, sentence 45. Jesus’ rescue mission was costly, because it meant he sacrificed his own life in order to save the people who came to him for help. And this is the most courageous act of community service we’ll ever experience. The end of January is often a time of preparation. People all over Australia are getting ready to send their kids back to school, or to go back to work themselves. They are organising Australia Day parties and outdoor activities for the end of Summer, before life gets busy again. Tim and I are very much a part of this as Tim prepares to go back to school to teach in a few short weeks and I plan and prepare for the youth ministry here in Jamberoo, as well as pursuing some other part-time work alongside my ongoing visa applications! But the Good Lord in his Good Book tells his people to be preparing for something different, and not just in light of Summer coming to an end. Scripture tells Christians to be ready because the Son of God is coming back. So what does being ready look like? It’s about knowing that Jesus, the Son of God, is coming, and living a life to honour him full of faith in him and his saving grace. It’s about making every decision in life as though Jesus might come back today. So as you prepare for all sorts of things in the coming days and weeks, ask yourself if you are prepared for Christ’s return. Does your conscience need healing? CREDIT Seth m via Flickr. Whether we admit it or not, we all are influenced in one way or another by our conscience. It’s our built-in sensor that seeks to prevent us from acting or speaking in a way that goes against our values and principles. Our conscience is something we all are born with, even though is an imperfect tool in our imperfect bodies. This week at the week-long CMS Summer School conference, the speaker Gary Miller highlighted four problems that can affect our consciences. Firstly, we can have a seared conscience (1 Timothy 4:2). It doesn’t work very well anymore because it’s stopped being able to feel properly, having been damaged by neglect, like hard skin on the soul of our feet that stops the pain of stepping on sharp rocks or hot bitumen. Secondly, we can have a defiled conscience (Titus 1:15). It doesn’t work very well anymore because it no longer notices sinful and unholy things, having been desensitised by viewing and performing all sorts of sins. It’s like when a person watches so many horror movies that they stop being shocked by the violence. Thirdly, we can have a weak conscience (1 Corinthians 8:7). It doesn’t work very well because it may over-react to things, being misinformed by false teaching. It’s like when someone takes offence at something that the Bible teaches to be mostly harmless. And finally, we can have an evil conscience (Hebrews 10:22). It doesn’t work well because it has been reprogrammed to do the opposite for which it was intended. Instead of alerting us about evil, it now encourages us to pursue sinful acts. In response, Gary encouraged us from God’s word to re-awaken and heal our conscience. In answer to our prayers, God’s Spirit can restore our seared, defiled, weak and evil consciences, and give us the gift of being able to recognise and avoid sin when we’re tempted. Will you pray with me that God will heal and re-awaken our consciences? CREDIT: Marco Verch, via Flickr. 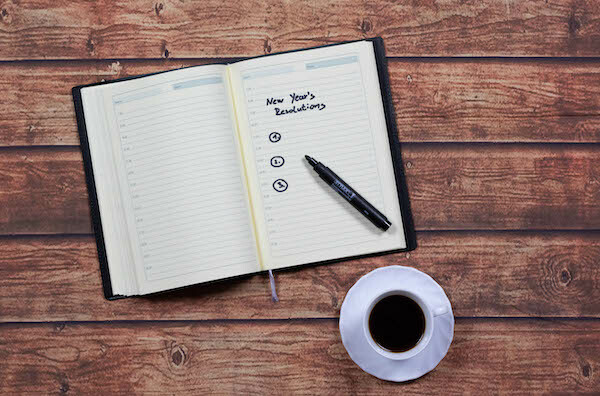 Resolutions are shared time and time again in early January. People want to be healthier and resolve to eat better and exercise more regularly. People see their need for other people and want to spend more time with those they love. People want to drink less and spend less. To slow down and appreciate. People want to be better. Though the calendar ticks over, it is safe to say that not much changes. People go back to work after Christmas, settle into old routines and look forward to the season of celebration once again at the end of the year. But why does this one night in the year where everyone stays up late and take in countdowns and fireworks inspire so much? 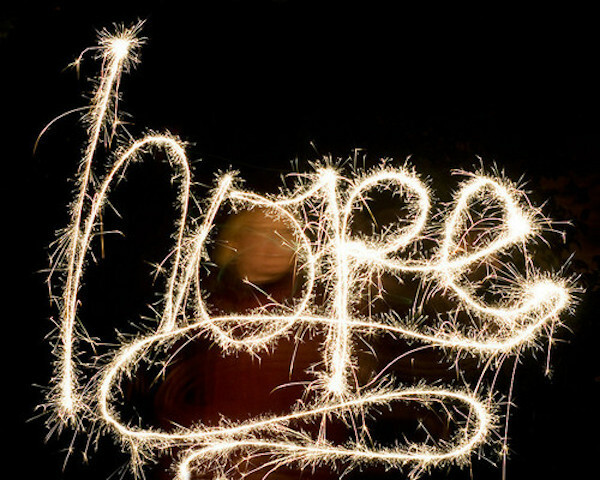 Hope is inspired at New Year’s. But in this time of renewal and the magnitude of human hope that comes with it, ask yourself, your family, your friends and neighbours where that hope is placed. As magical as the Christmas and New Year season can be, if hope is not placed in the saviour Jesus Christ, it is empty. This season is a great time to point people towards Jesus and offer them a true and lasting hope not just for the first few weeks of 2019, but forevermore. As the New Year approaches what is it that we as Christians should be holding on to? There are three characteristics that are highlighted in the New Testament as they occur together time and time again. What would you put in your top three? The Apostle Paul says “and now faith, hope, and love remain, these three; but the greatest of these is love. 1 Cor 13:13. Faith looks back to the past looking to what Jesus has done. Love has eyes on the present, our response everyday for what Jesus has done. Hope looks forward. While love may be the greatest, I wonder if it is hope that we are most in need of being reminded of. It is easy to worn down by the world, discouraged in our faith. We may be worried about uncertainty in our lives. Hope is the answer. But not the way our world uses it. Hope is often used today to mean something along the lines of wishful thinking, the kind of characteristic you would find among optimistic people. But hope is a characteristic for all Christians. Our hope is not in some vague picture of the future, but in the solid truth of the resurrection. Jesus’ resurrection is the first fruits of that day when he will return and raise us upto the new creation – our glorious inheritance. So Paul prays: “that you may know what is the hope to which he has called you, what are the riches of his glorious inheritance“ Eph 1:18. Why is it our hope grows dim? Perhaps we are captivated simply by the present. Our love is misdirected to the things of this world instead of being captivated by the one to come. Perhaps we have stopped looking to the past, where what Jesus has done assures our future. Our world wants us to doubt and worry, but hope is the antidote. Don’t let it grow dim, for in Jesus the resurrection has already begun, and so your hope is secure. Summer is a wonderful thing. Golden days and warm evenings. But our summers also reckon with those two great forces of nature – fire and water. Both are able to turn against us in a moment – and we need saving. Sometimes, as we have seen tragically in fires in California and in Australia, we can miss the signs and don’t see the need of a saviour till it’s too late. How welcome are the faces of the surf lifesavers or the bushfire fighters who spend their summers risking their own lives to save us when we are in trouble. When God, who created us – says we need a saviour and sends one – we should listen. Make this Christmas a time to reach out to Jesus – the saviour we all need. May you all have not just a stocking filled Christmas, but a Christ-filled Christmas. Angels, stables, donkeys, Mary and Joseph, the star, the shepherds, the wisemen, and of course the baby in a manger. 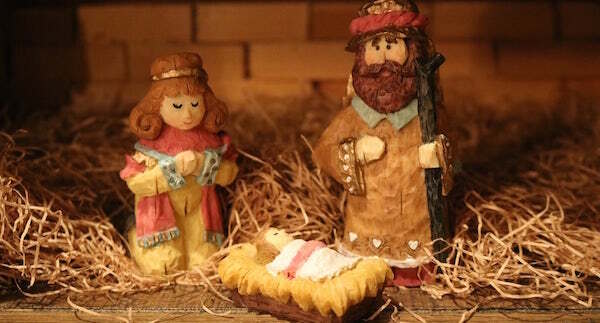 People are familiar with this Christmas card scene, but we long for people to look deeper and see not just a baby in a manger but the Immanuel – God with us. There is much to surprise people when do – the absence from the accounts of a donkey for a start. The wisemen, who never made it to the birth, but arrived sometime before Jesus was 2. And there’s no mention of how many wisemen there were, whose actual name were the magi, and who may not have been men or wise at all! The stable may have been a cave, or the lower story of a guest room – however the manger was there and presumably the animals were too, perhaps even a donkey. 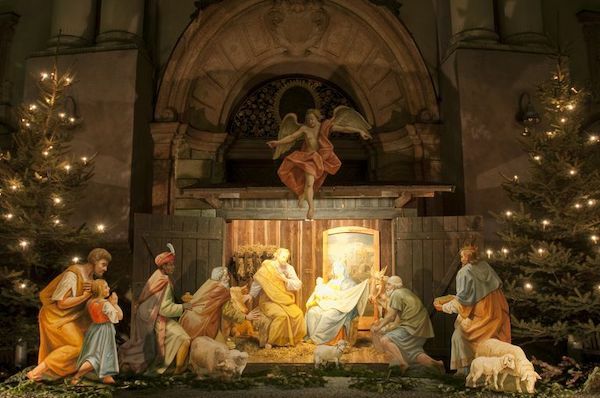 But while people in their familiarity may miss these details, it is true that at least they have a picture of Jesus’ birth that night and a chance to find that deeper meaning. What is more concerning is a generation for which each of these elements is gone altogether. Jesus is replaced by Santa, the angels by elves, the animals by reindeer, the wisemen and the gifts by a Kmart catalogue. It’s not just that these things have become more important, but that there is no knowledge at all of the nativity events, and no real interest to discover them. 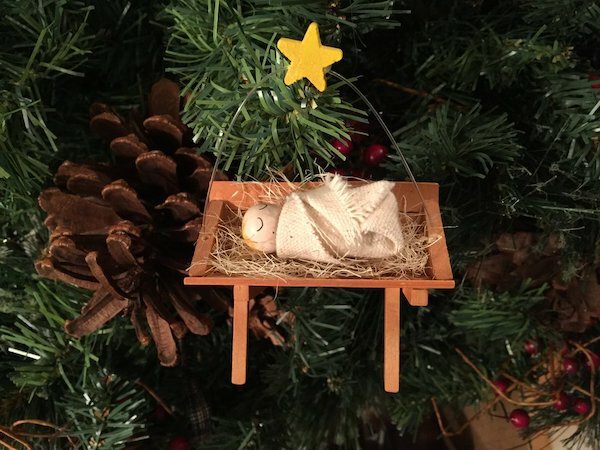 There are kids today who simply don’t know about the shepherds who watched their flocks, or the star that appeared in the sky, or about the humble birth of our Lord and Saviour. Without the nativity we lose more than just Christmas, we lose God with us. The nativity is not just fun and cute – it’s true and it’s crucial for us and our society that this account is remembered as the heart of Christmas. The Scripture Christmas Assembly for 2018 was an incredible time for all. It was beautiful to see over fifty children along with parents and scripture teachers gather to celebrate King Jesus being born. As the assembly began, we sang together with a wonderful welcome from Jodie. It was a great taste of the involvement he will have in scripture and the school in the years to come. Together, we sang fun songs that gave glory to our great God and it was made all the more special with the creativity of the kids and teachers who prepared dramas, crafts, and truths about the Son of God. I teach Years 4, 5, and 6, some of whom got up and showed how Jesus was a true king, because he is a ruler, judge, and has a caring perspective. I then had the chance to address the assembly and was able to share how it was so sad when people were separated from God through Adam & Eve’s sin. But how God, our all-loving ruler and judge had a plan to save us through Christ and that is why Christmas is such a happy time. Because Christmas is when we celebrate that God kept his promise and the Son of God came to earth to save his people. The Christmas assembly was memorable, and a great finish for the year, leading us to a great place to start next year. Please continue to pray that all people will know the true meaning of Christmas. m Jodie. It was a great taste of the involvement he will have in scripture and the school in the years to come. I teach years four, five, and six, some of whom got up and showed how Jesus was a king because they have being a ruler, judge, and a caring perspective in common. I then got up to address the assembly. I talked to the kids about how it was so sad when people were separated from God through Adam & Eve’s sin, but how God, our all-loving ruler and judge had a plan to save us through Christ and how that is why Christmas is such a happy time. Because at Christmas is when we celebrate that God kept his promise and the Son of God came to earth to save his people. The Christmas assembly was memorable, and a great finish for the year, leading us to a great place to start next year.